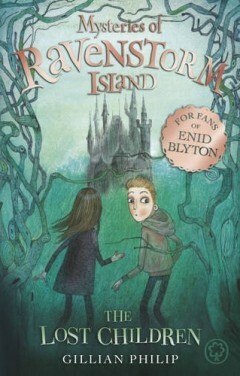 When Molly and her little brother Jack visit their rich relatives on Ravenstorm Island, Molly feels immediately on edge. An elderly butler gives them bizarre warnings, eerie statues of children are dotted around the island, and – worse – she’s expected to be friends with her moody cousin, Arthur. But things become much worse when Jack disappears – and no one else on the island remembers he ever existed! Molly and Arthur must work together to save Jack. They unlock a hidden world of vicious spirits, but will they uncover the secret behind the Lost Children before it’s too late?